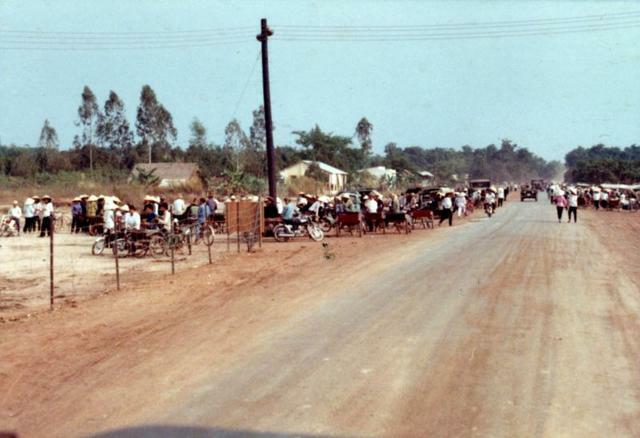 Military Police controlled the entry and exit of Vietnamese workers from Tay Ninh base camp. Big crowds waited in line twice a day; first, to be admitted in the morning and second to be checked out in the afternoon. We taught the Vietnamese the “8 to 5” life and most of these workers were female. They cleaned base camp living areas and shined boots for us and many units serving in base camp. In a fire support base no Vietnamese labor was allowed so the work was done by a soldier or not done at all.